Make your slouchy sofa new again. Don't put it on the ends of the pegs though, because then the corners may not fit flush together. And FYI, you won't be able to disassemble the piece again after you do this. From Family Handyman. Get a small bottle of epoxy for $5.47 and a bottle of wood glue for $2.78, both on Amazon. 2. ...and an equally thin coat of thread locker to all of the screws and cam lock holes. Cam lock nuts = those weird circular pieces that you'll probably only be familiar with if you've assembled Ikea furniture. From Design By Numbers. 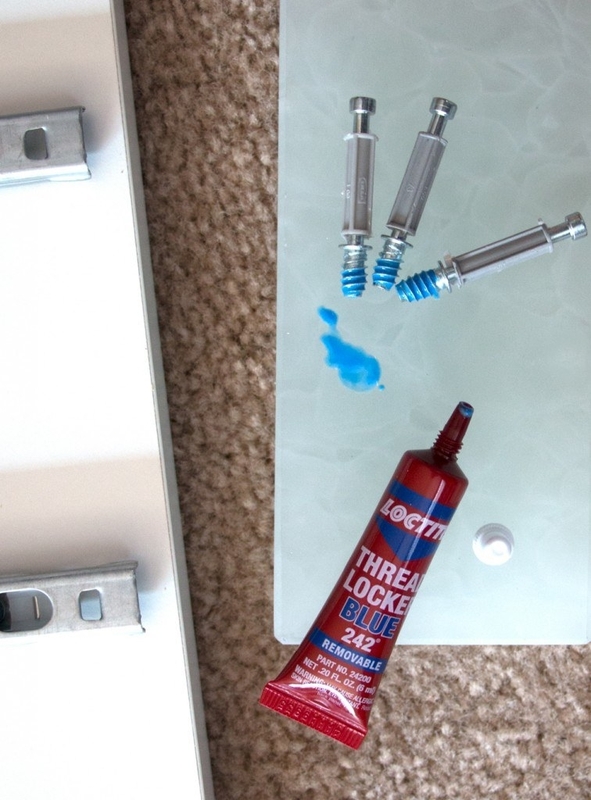 Get a bottle of thread locker on Amazon for $5.42. 3. 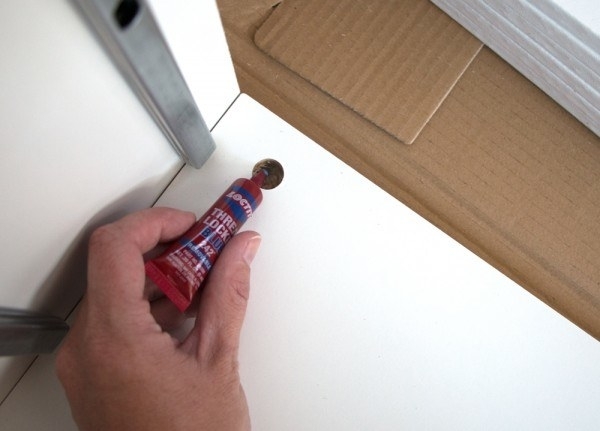 Then make those joints extra secure with a thin strip of wood glue so they're less likely to loosen over time. From here. ICYMI earlier, you can get wood glue on Amazon for $2.78. 4. 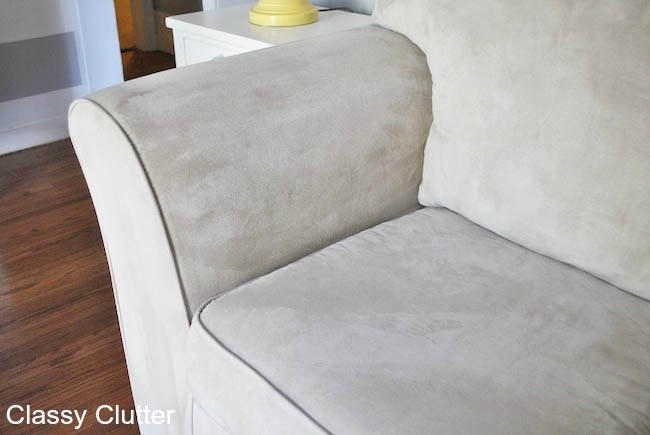 Fix slouchy sofa cushions by fluffing up the stuffing inside, and maybe even adding a bit more stuffing on your own. Especially useful if your back-support cushions are sewn to your couch, so you can't pull 'em off to fluff like a regular pillow. From Thistlewood Farms. Get a 20-ounce bag of polyester stuffing on Amazon for $10.71. 5. And give your limp seat cushions a little bit of lift with an extra wrap of quilt batting. From Love of Family And Home. Get batting on Amazon for $14.88. 6. If your seat cushions need more serious ~rejuvenation~ than a few inches of batting, try adding a thick layer of cushion supports. 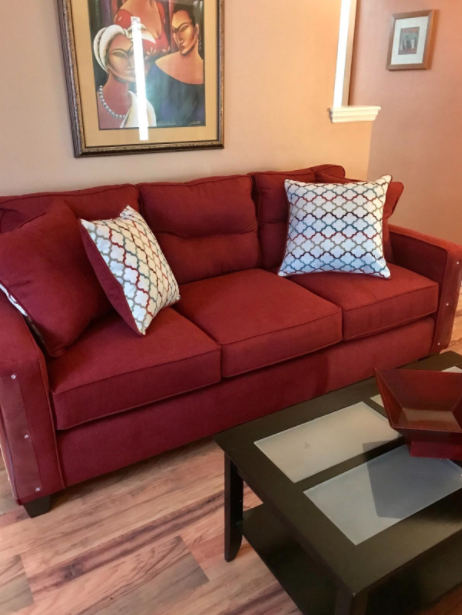 It's basically a thick foam insert that plumps up all the other layers so your couch feels equally comfy but looks brand new. Get them on Amazon for $29.99-$36.99 per panel (which fits one cushion), depending on the size you need. 7. 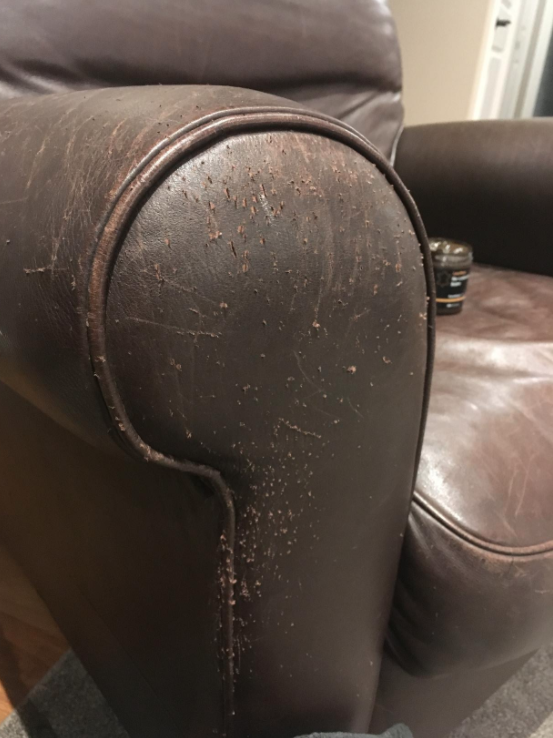 Spot clean stains on your upholstered furniture as soon as they happen — but check the code on your couch or chair's tag to know exactly how you should clean it. Most carpet and upholstery stain removers will be water-based cleaners, like Carbona (get it on Amazon for $11.18) or, if you're dealing with pet-and-people stains, the enzyme cleaner Pet Stain & Odor Miracle (get it, also on Amazon, for $19.97). 8. But if you're way overdue for a spot cleaning, steam cleaning is an easy way to tackle bigger jobs. You can rent similar machines from many grocery stores, or buy your own and to clean up all sorts of furniture and carpet messes. Get one on Amazon for $128.99. 9. Or you can go at it with a scrub brush, sponges, and a spray bottle full of rubbing alcohol. If you have a microsuede/microfiber couch, that is. Get the tutorial from Classy Clutter; and you can get two of the sponges she uses for $2.37, or six plain white sponges (to avoid color transfer) for $10.03, both on Amazon. 10. Always use a trivet or a thick potholder before setting hot dishes down on your finished wood table — or a coaster before putting your mug down on your wood coffee table — to avoid damaging the finish. Thankfully, you can easily remove small marks like the one above with a towel and an iron. Find out how on Little Green Notebook. 11. 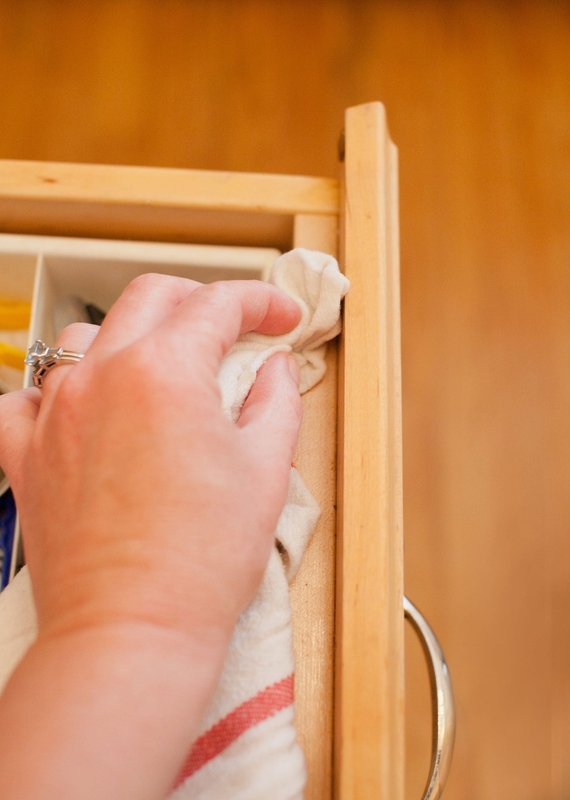 A little oil soap goes a long way to clean built-up grime and sticky spots off any finished wood, including furniture and cabinets. 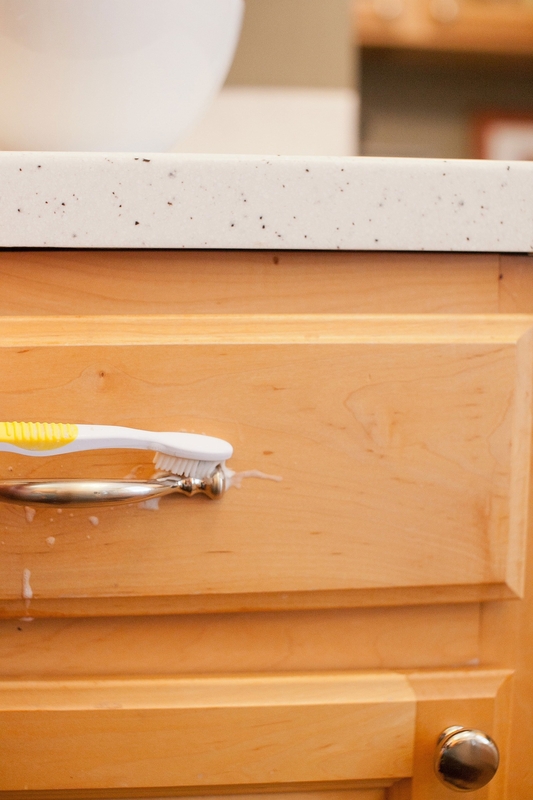 Read the full cleaning tutorial on The Kitchn. Get two bottles of oil soap on Amazon for $11.17. 12. 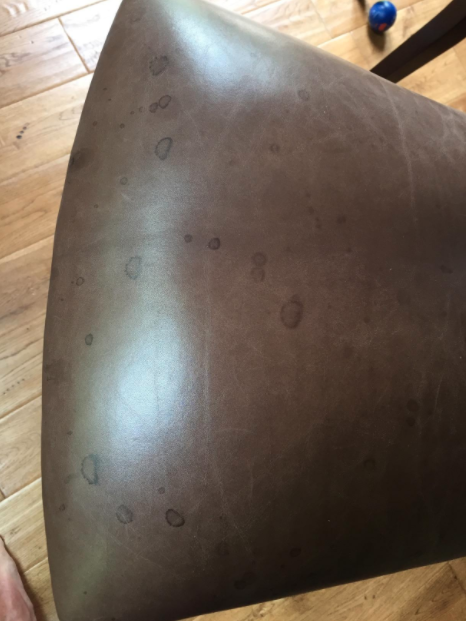 If you have scratches and heat stains and who knows what else all over a piece of wood furniture, use a simple wipe-on, wipe-off finish restorer to make it gleam like (almost) new. Without going through the hassle of completely stripping the finish and re-doing it from scratch. Get a 16-ounce can on Amazon for $8.98-$14.34, depending on the wood finish you need (nine finishes available). 13. Or if there isn't so much damage but the wood looks sad and dehydrated, try a polish and conditioner. It's also something you can wipe on, then wipe off later. Get a 16-ounce bottle on Amazon for $7.98. 14. 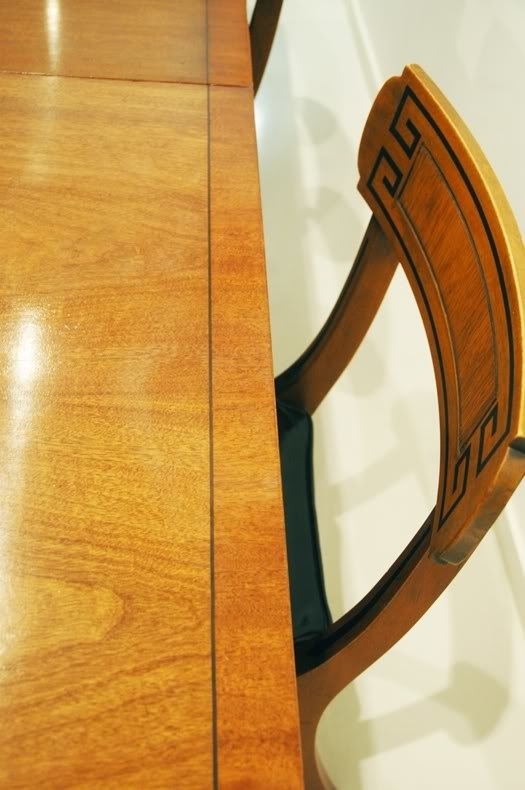 Secure a wobbly table leg to the table's top with an angled screw that'll hold everything in place. But if you'd like to do a thorough job (it does involve disassembling and re-gluing the table), get a tutorial on Pretty Handy Girl. 15. Stabilize a rickety wood chair with a couple of inexpensive corner braces. From Family Handyman. Get them from Lowe's for $2.48 each. 16. 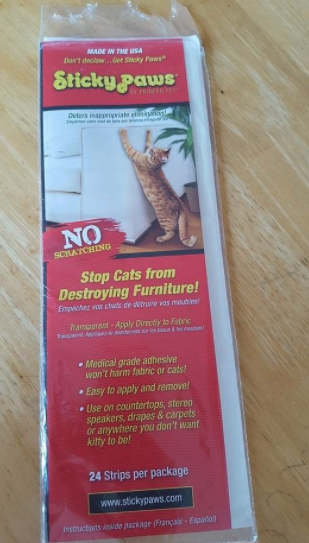 Stop your demon — I mean, beloved — cat from turning your sofa into a scratched, fraying mess using a set of plastic protectors. Yes, you *can* still see them, but it's better than coming home to a mess everyday. Get a set of two on Amazon for $13.25-$18.90, depending on the size you order. 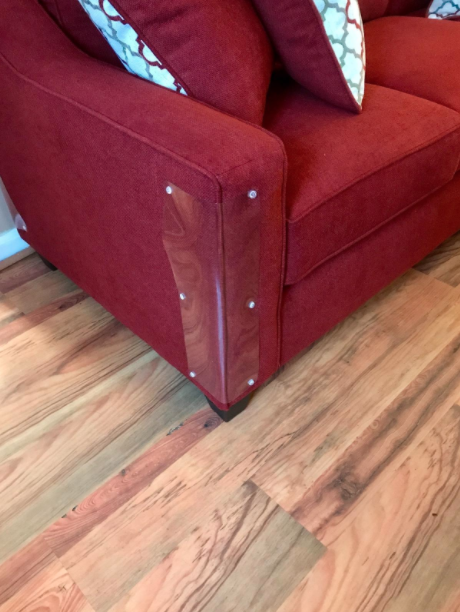 I'd skip it if you have a leather sofa, though: the upholstery pins will make tiny, irreparable holes. 17. Or (attempt) to train them not to scratch with large pieces of sticky tape — that theoretically you'd only have to use until your cat learns that her favorite corner is now strange and unpleasant. Theoretically. Get them on Amazon for $8.75. And think about other training tricks to try, too. 18. 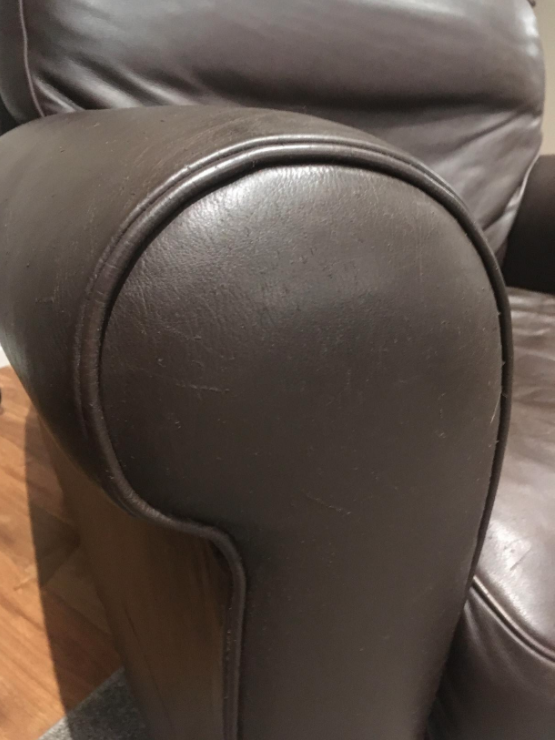 If your dog (or your cats, or your kids) threaten to destroy your couch by the mere act of sitting on it (or eating dinner in front of the TV), get a protector to shield it from shedding and food stains. 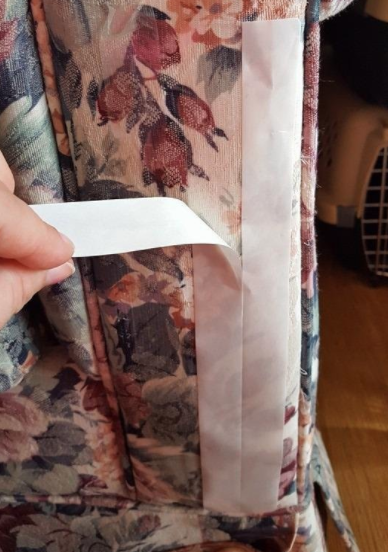 You can always remove it when *you* go to sit down, but in the meantime, the pet hair stays on the cover, which you can pop in the wash while you're pupper's busy in the backyard. Get one on Amazon for $18.99+, depending on the size you need. 19. 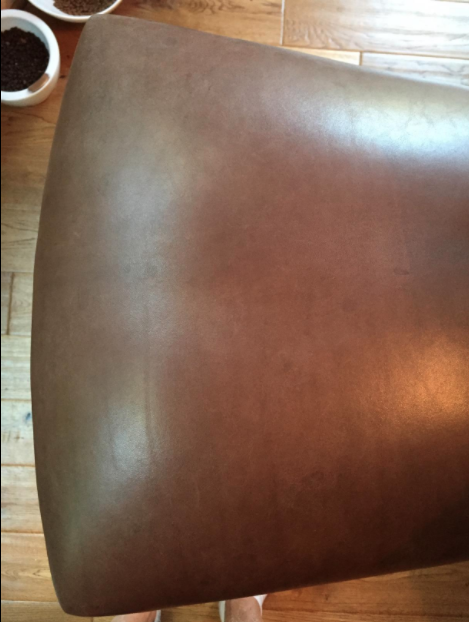 For the most part, all you have to do to keep your leather furniture in tip-top shape is condition it once a year. It won't darken your furniture, just return its ~sheen~ in a single step. Get a highly-rated conditioner from Amazon for $9.99. 20. 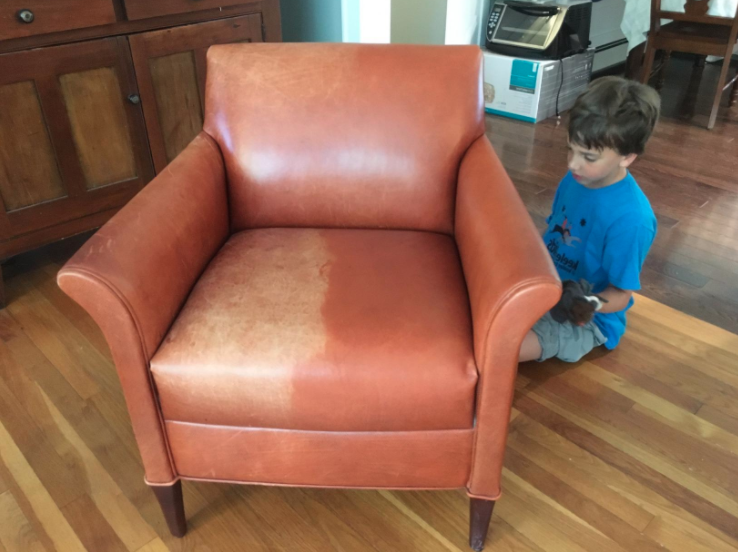 If you spill a liquid on your leather, simply soak it up with a clean cloth or paper towel ASAP — and don't rub it at all. If you spill something greasy or oily, pick or soak it up as much as possible, then sprinkle on some baking soda to see if it will absorb more. Gently vacuum that up or brush it away. Or even better: find and follow your manufacturer's instructions! 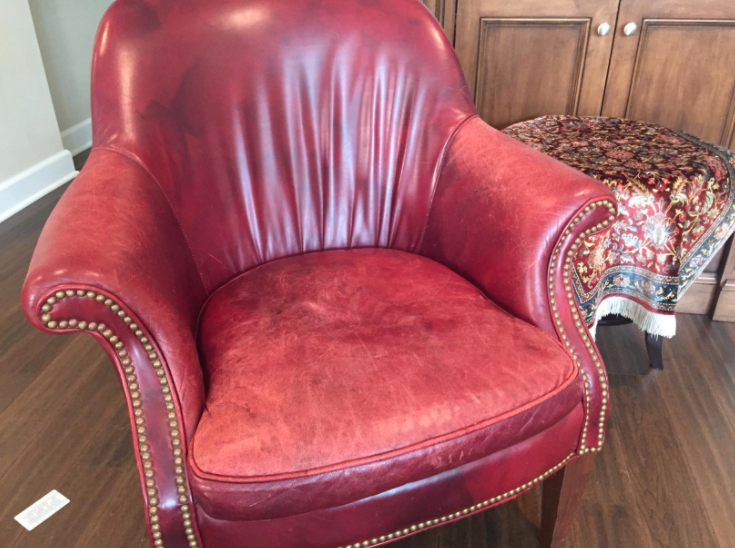 Your furniture's leather type may call for something specific. (Yes, he's cleaning a carpet, not a couch, but the ~dabbing~ technique is the same!) H/T West Elm and HGTV. 21. 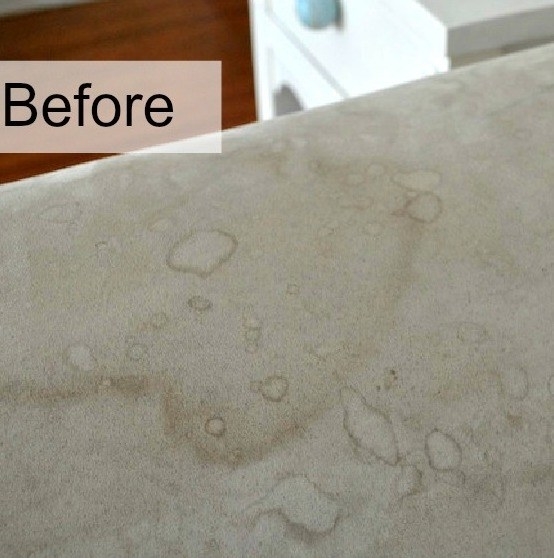 But say you do happen to discover a stain when it's far too late to clean: a stain-remover spray may be just the thing to try. Get the spray from Amazon for $15.98. 22. 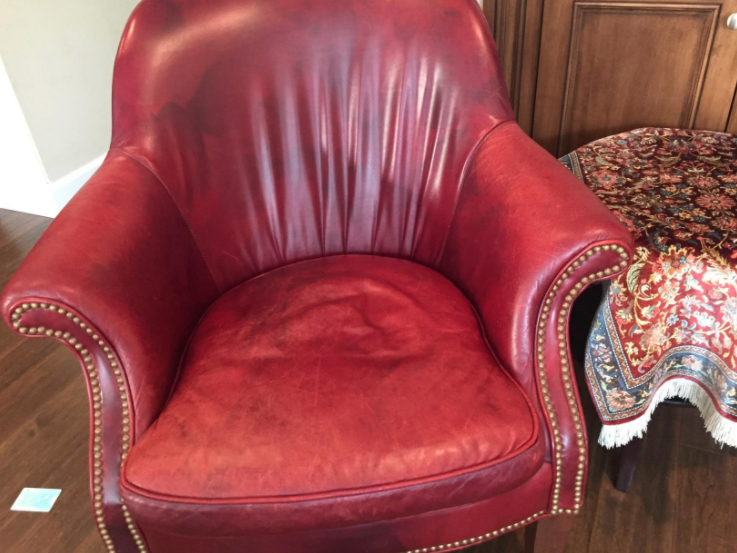 And while you probably want to avoid setting your leather furniture anywhere it gets direct sunlight, it's not the end of the world — you can make faded leather look brand new with a coat of re-coloring balm. You just rub it right into your leather. It can even help minimize the look of cat scratches, depending on how bad they are. Get a jar from Amazon for $29.95 (17 colors available).